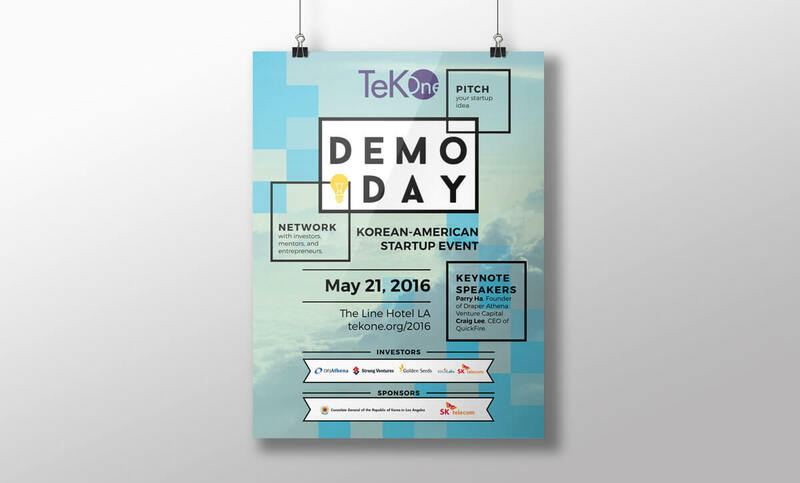 TeK One is a non-profit organization that promotes technology-based entrepreneurship for Korean-American scientists, engineers, and entrepreneurs. 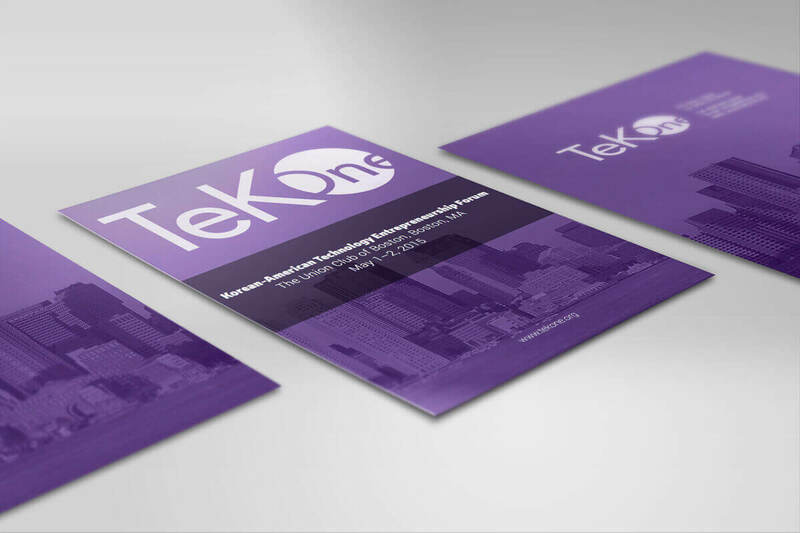 TeK One hosts a yearly conference where startups, mentors, and investors can network. 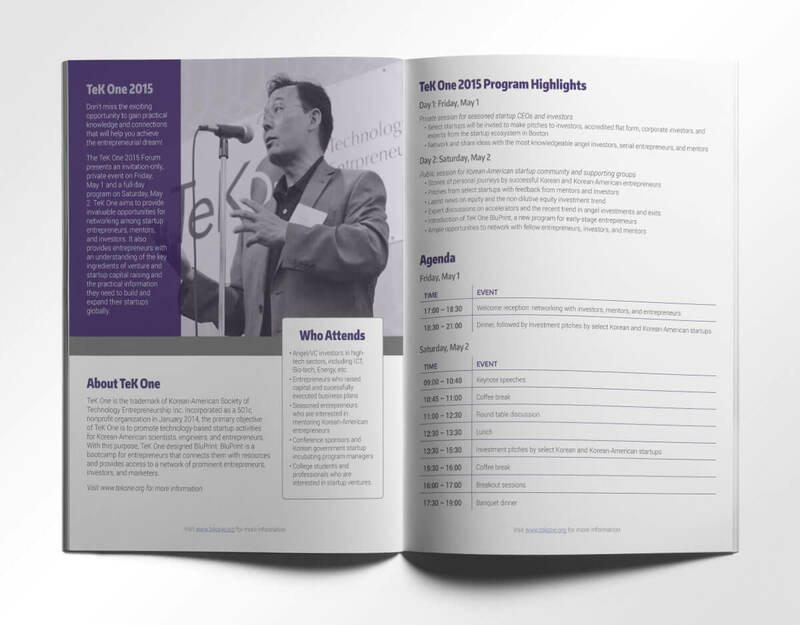 I designed the TeK One logo, brochure, and poster to reflect the non-profit’s committment fostering the Korean-American technology startup community.